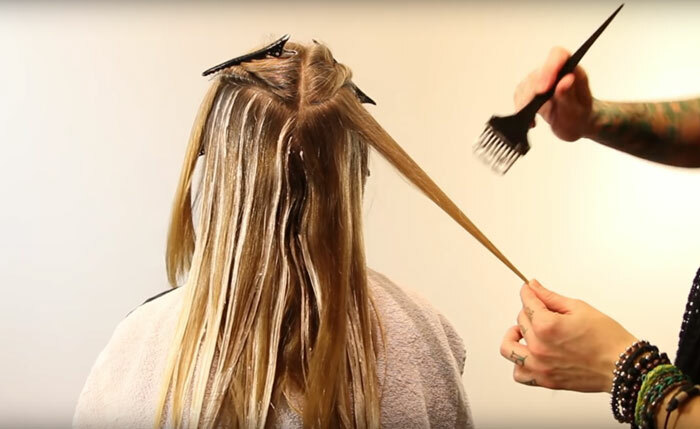 What is Balayage, How Do You Pronounce It, and How Much Does It Cost? If you are looking for a new way to change up your hair this year and are tired of your all-over hair color or your highlights that you have maintained for years, you may be interested in learning more about Balayage. Balayage produces a gorgeous, natural-looking lightening effect on your hair. While it can be a lengthy process, most people find that it is easy to maintain and that it suits different skin tones and hair colors. Learn more about this technique here, and find out if it may be right for you. What is a Balayage Service Like? Balayage is a French term used to designate hair that is chemically lightened using sweeping, brush-like strokes. Rather than applying the chemical treatment to your entire strand of hair, the treatment is only applied to a portion of each strand of hair, usually from the middle of the shaft down to the base rather than from your roots to the base of your hair. In addition, Balayage is set apart from other chemical services by the fact that it is painted on to each desired section freehand. This gives it an incredibly natural look. Balayage has actually existed for quite some time. However, it is only now beginning to come back into vogue once again. Many more stylists are receiving training in this technique, and most salons have begun offering it. It seems to have become more popular as many celebrities began sporting this technique on the red carpet several years ago. One of the most confusing parts about Balayage is the pronunciation of its name. It can be disconcerting to head in to see your stylist and not be able to tell him or her clearly what you want. To infuse you with confidence, you can learn to say the name of this popular technique with ease. Balayage is pronounced BAH-LEE-AHGE with the emphasis on the final syllable and the middle syllable almost hidden because of how quickly it is said. An alternate way of saying Balayage is BAH-LAY-AHGE. Both are correct but the first is more common. The price for a Balayage session will depend greatly on where you live in the country, how pricey or high-end the salon is overall and what other techniques you are having done at the same time. 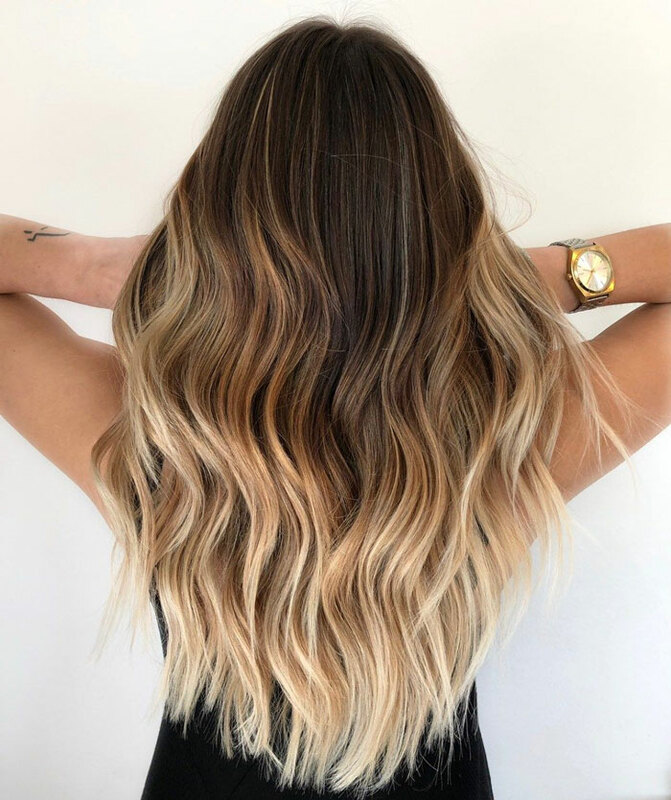 For example, adding additional color will make the process far more expensive than it would be if you were only having Balayage added to your natural hair. Overall, Balayage will most likely cost from $100 to $150 at the low end of the spectrum and from $250 to $300 at the high end of the spectrum. Long hair will also increase the price over short hair because of the extra effort required. Your Balayage appointment will feel much like a typical highlighting appointment. Your stylist will use papers or foils to separate the strands of hair that he or she paints with the chemical. The stylist may also back-brush the hair to provide an even more natural look. If you are having your full head done, the process may take a couple of hours and may require a toner at the end to get rid of harsh, coppery tones. However, a few Balayage foils may only take 45 minutes. Because Balayage lightens your hair chemically, you do not have to worry about this new color washing out. Also, because the color difference is quite subtle, it grows out easily, letting you wait longer between your follow-up salon appointments. In fact, you can wait between two to four months much of the time. You will not see a lot of regrowth because the treatment is not applied at your roots. If you do notice the tone of your hair color changing between appointments, you may be able to opt for an easier, quicker and cheaper toner treatment rather than Balayage. Balayage is used to lighten the lower part of your hair, but it is different from the ombré look. With ombré, all of the bottom of your hair is lightened. However, with Balayage, you will be left with strands of darker hair in between for a more natural look. Ombré also provides a more noticeable contrast between the upper and lower parts of the hair. Balayage is the better choice if you are looking for a subtle change. Balayage is also different from highlights. While both are designed to lighten your hair, highlights are used from the root of your hair to the base of each strand. The chemical also saturates your hair and each foil can be expertly placed. With Balayage, the chemical is typically placed only on half the strand and is painted on rather than saturated. Balayage may not lighten your hair as dramatically as highlights do. Balayage may be a great choice if you want to lighten your hair a bit and want a natural, sun-kissed look rather than the less natural look of ombré or highlights. It is also a great option if you are wanting a low-maintenance chemical service. Balayage works on all types of hair colors, lengths and textures. Whether you have black hair, brown hair or red hair, you can add a bit of lightness while maintaining darker strands in between. It is a particularly good look on curly or wavy hair where it will add depth and texture, but it also looks good on darker blondes as well. The only length of hair that Balayage is not designed for is extremely short pixie cuts. In general, it works on both short and long hair. 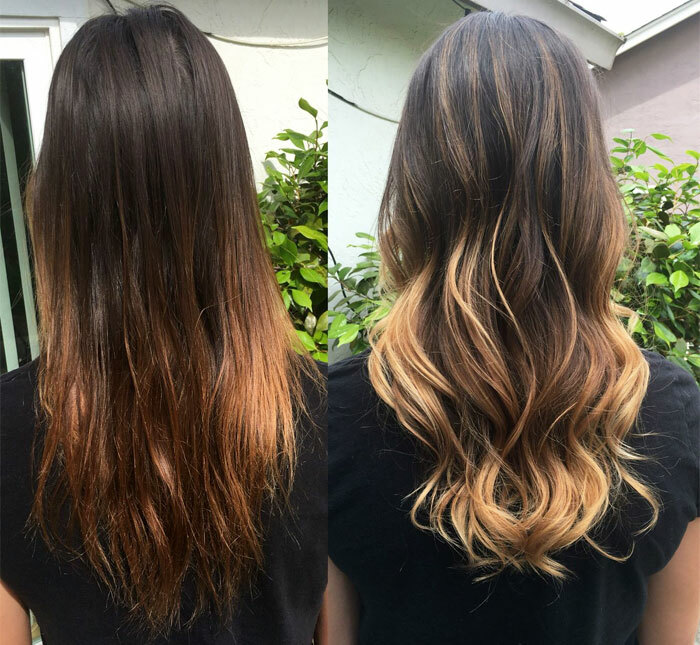 If you do believe that Balayage is right for you, you will want to find a stylist who has been trained and who has experience in this technique. It must be done slowly and carefully. Because it is done freehand, your stylist must have an artistic eye and must be willing to take the right amount of time to complete your style.